This tutorial will show you how to connect your ONE to your Mac. 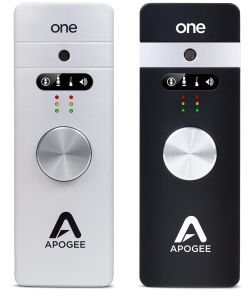 To follow this tutorial you will need Apogee ONE for iPad and Mac, and Mac OS 10.6.8 or greater. Connect ONE’s USB port to a USB port on your Mac using the supplied USB cable. Go to https://apogeedigital.com/ and download the latest ONE for iPad and Mac software installer. Once the download is complete, double-click the ONE Firmware Updater. After the firmware update has completed, double-click the ONE Software Installer icon to install the software.You will be required to restart your computer after the install is complete. Once you restart your Mac, a dialog box will prompt you to choose ONE for Mac sound input and output. Click Yes. Open iTunes, and play a song. Now your ONE is set up and ready to go.